Discover the best beaches and coves while you enjoy the beauty and uniqueness of Menorca. Full day excursion in small groups (maximum of seven people). 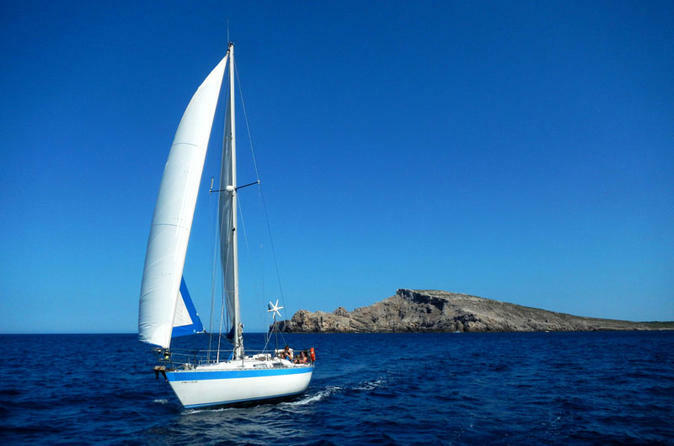 Enjoy the pleasure of sailing on our French Cruise with no noise or pollution through the Marine Reserve of northern Menorca. This is one of the most unspoiled and inaccessible areas of the island. It is a privilege to get to these magical places from the sea. Food and drinks included. Hire a scooter in Menorca (or Minorca) and explore the gorgeous Balearic Island at your own pace! With one helmet and a map included plus a choice of durations from 24 hours to seven days, the rental experience offers everything you need to explore Menorca with ease. Ride alone or with a second passenger to discover tranquil island scenery at sites such as Son Bou beach, and discover the urban charms of cities and towns at Mahón, Fornells and Ciutadella. Sunset trip : the best time of the day. A good opportunity to feel the real magic of this island, sailing aboard our Catamaran in this moment of the day, you will experience unique sensations while enjoying the spectacle of colors and sounds.Your best landscape pictures ever taken, remember to get your camera! 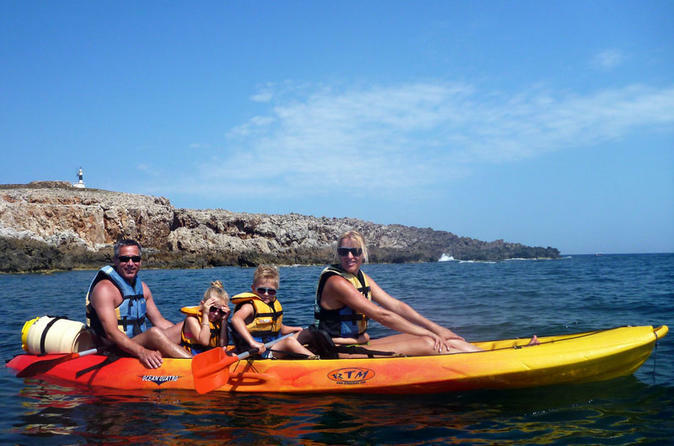 One of the most authentic and active ways of discovering the coast of Menorca is by kayak. Kayaks are a very seaworthy boat, due to their characteristics you are able to get anywhere, their lightness gives us the opportunity to stop at any beach, go into caves and grottos where other boats cannot access. You will discover a whole new experience while getting in touch with nature. 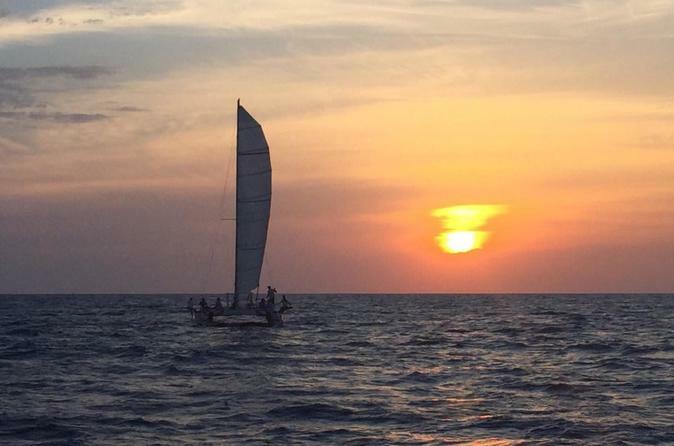 The route to be taken with the catamaran is decided by the skipper every morning, depending on weather conditions, wind direction and intensity. A strong point of our company is that we want you to flow with the force of nature that is why we never do the same route, making us different to other charter companies within the island. In any case, the starting point is from our home port in Fornells. 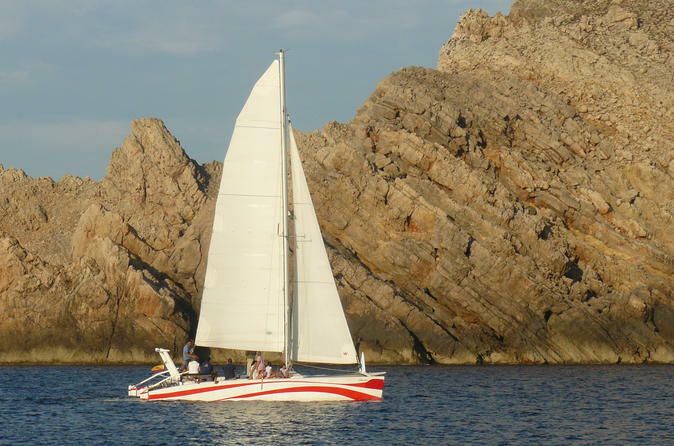 With 4 hours of sailing ahead we could sail, for example, up to Cala Pregonda as the furthest point on the west. When heading to the east side of the island we could go up to Cala Mongofre.